The Senior Send-Off is an event that Highland Park Senior High School does every single year. This event takes place a week before the school year ends. This year’s send-off will be on, June 1st, during second period, in the gym. During the send-off, the school shows a slide show of seniors, with pictures from their 4 years at school, and they also have a video where they have underclassmen give a goodbye speech to their senior siblings. On the day of the send-off, the seniors also wear their senior class shirts, and they say goodbye to teachers and friends. The third student I talked to was a senior name Sunthany Vang, who explained, “I am grateful for everyone who was there for me from freshman year till now, and teachers that made me learn a lot of stuff.” It was a long journey but she is happy that she is finally done with high school. 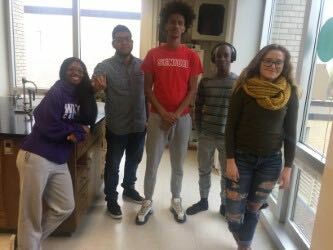 After all my interviews, I came to realize that all these seniors have done different things for the school and their friends, in different kinds of ways, and I hope they have a good time in college. 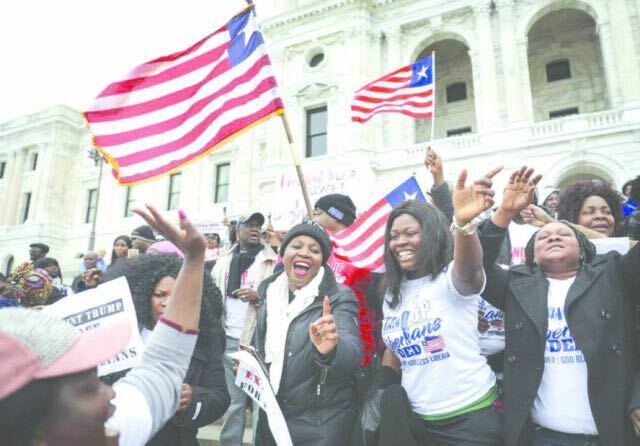 On Wednesday March 28, 2018, the Liberian community had a walkout to the state capital. This walkout was based on the new law that the president passed on Liberian immigration status. The law says that all Liberian immigrants, with no documents, will have to relocate back to Liberia, by March of next year, 2019. During this walkout, we had some people talk about how the new law had affected them in different ways, and people also talked about how it may cause problems for their families. The walk was from Brooklyn Park to the capital, and it was almost twenty miles. The estimated number of people was about three hundred. I talked to some of the people that were involved in the walkout, and had some people share their thoughts about how they felt. According to one of the people, whose name is, Mary Johnson,“I came here during the civil war and my kids been here all their lives and currently I have a sixteen-year-old daughter to take care of. I am also a single mother that has to take care of six children, and my husband died after the last kid was born so if this laws take place it is going to affect me and my family, and I don’t want that” she cried. Most people said that they are going to continue to march until the president or the house or senators do something. I hope that the president will do something about the problem before next year’s deadline, and help them too. February in every year is National Children’s Dental Health Month. According to Lakeville Orthodontics, each February the American Dental Association (ADA) sponsors National Children’s Dental Health Month (NCDHM) to raise awareness about the importance of oral health. NCDHM messages and materials have reach millions of people in communities across the country. NCDHM began as a one day event in Cleveland, Ohio on February 3, 1941. Later, in 1955, it became a one week event, and then became a world wide event. This was all good, and was set-up, but the ADA, to develop good habits at an early age. Scheduling regular dental visits helps children to get a good start on a lifetime of healthy teeth and gums, which is something the ADA strongly encourages. The ADA also gives good outlets for information which include: a daily and weekly newspaper supplement, newsprint shopping guides, a health club newsletter, library bulletin boards, church and schools bulletin etc. The ADA also has about 161,000 member and representatives, from all 50 states, who work on raising awareness in kids. During NCDHM the ADA also asks for donations of toothbrushes in order to help the homeless, foster children, and also the less fortunate kids. This helps make them happy, and makes them feel welcome, and that we are all one. The ADA has free online resources that can help with oral health presentations and also fun activity sheets for kids (like crosswords, coloring pages, connect dots, etc.). Teaching kids how to brush their teeth is one of the best things that parents can do, so I encourage everyone to get to a dentist at least once a year. The Zombie Frappuccino is a blended beverage that’s more “treated than trick” with delicious apple and caramel flavors. It has a green body made with Frappuccino cream, infused with flavors of tart apple and caramel, and topped with a pink whipped cream “Brian” and a red mocha drizzle. The intentionally disgusting looking drink had been available in all Starbucks stores, in both the United States and Canada, and this is not even the first year that Starbucks has served a Halloween themed drink. You could pari your drink with mummy cake pops, or Day of the Dead cookies which the store also has for purchase. According to some of the Starbucks workers I asked, they said the point of the drink was to scare customers, especially the early morning Frappuccino lovers. Some of the customers I also asked, told me that they didn’t liked it, and that it tasted like gas, while others told me that they really liked it, and though it was very sweet, the bitterness of the mocha syrup, and the creaminess of the Frappuccino base helped balance things out. 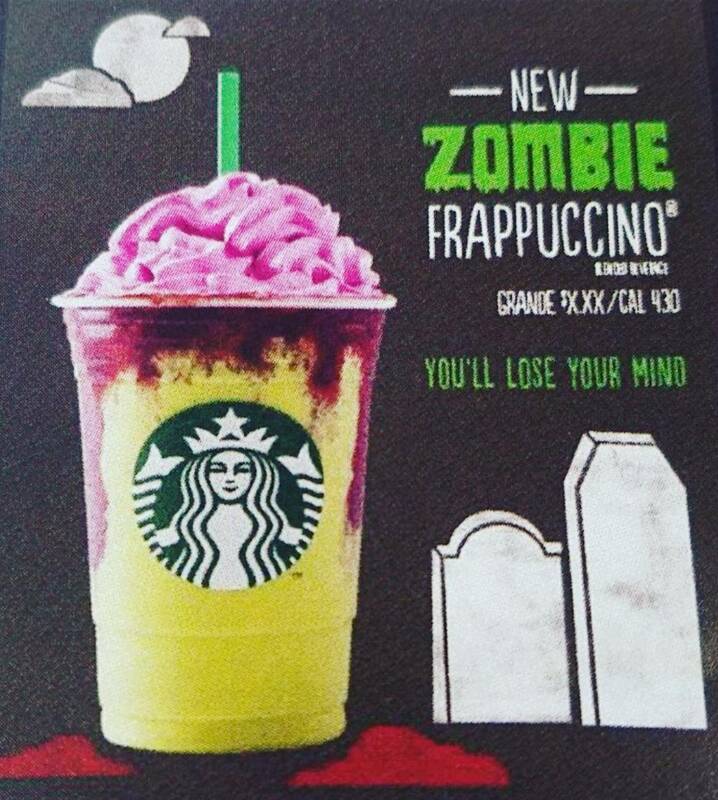 Starbucks started their Halloween offerings in 2014, when they introduced a limited edition Frankenstein’s Frappuccino, and in 2015/2016 it served the vampire inspired Frappula Frappuccino. The Frappuccinos usually start appearing on Oct 26 – 31. As for me, the first time I heard about the Frappuccino, I was at work, and one of my coworkers asked me if I had tasted the new Starbucks. I told her no, and she was like “don’t try to taste it” because it made her to feel bad. But I wanted to try it, and it was good, and I liked it. I also encouged my friends to try it, some of them liked it, and some said it had too much sugar, but it was still good though. I hope you guys try it, and share how you felt about it, and about how it tasted. The Highland Park Homecoming Dance is a tradition at our school, and it happens every year. 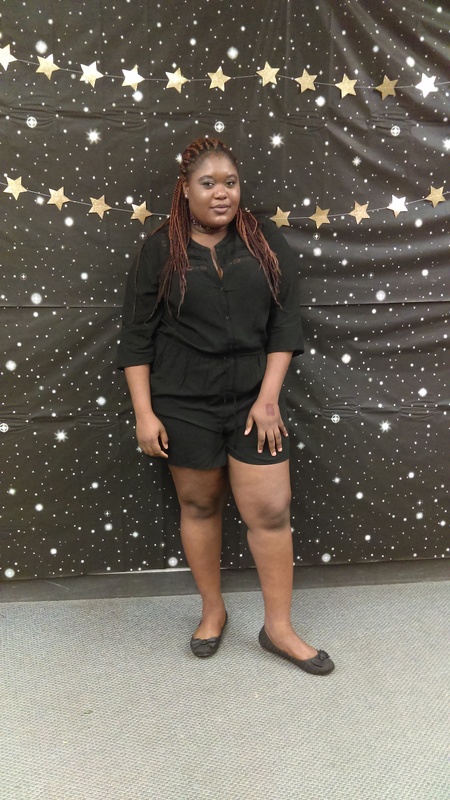 Some people go to the Homecoming Dance to be have fun and enjoy the music, and others think it is a good place to meet new people and hangout with friends. I also took time to specifically ask some of the freshman what they think about the dance, and how they feel about it. Some of them told me that they were hoping to meet some cute guys and talk to people they don’t talk to doing school hours, and also to get to know more people. I also interviewed some of the seniors, and I asked them how they felt about this being their last Homecoming Dance at Highland, and what will they miss about it. Some of them told me that they will miss their friends, and the fun. They also told me that they are so ready to leave the school because they were tired of seeing the same faces every year, spending money for the same things, and that they were glad that this was their last year so they will meet new people and see new things. I also got to ask some juniors, who were going to the Homecoming Dance for the first time, about why they never go, and they told me that they went this year because they wanted to know how it looked. 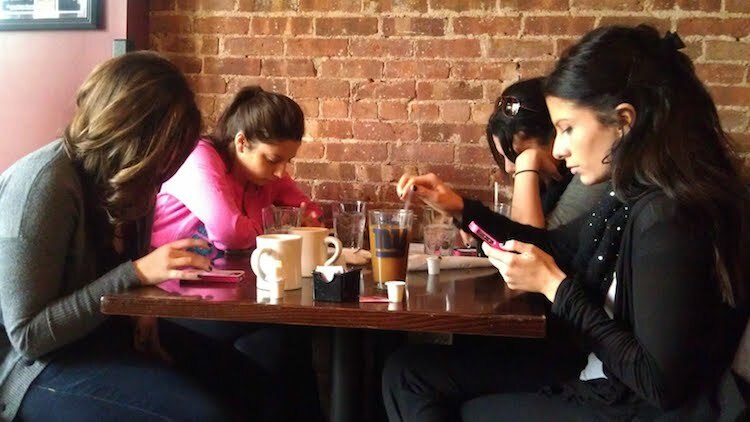 The are so many ways that teens can get off their phones, especially in school, during church services, and also at the dinner table. Here are a few that might help. One way to get off your phone is to turn off your data when you are in class, church, or at dinner. If you also turned your notifications off, it would help. You can also uninstall things that you don’t really use, so it won’t take anymore of your time sorting through them. You can also set a specific time to get on your phone and when to get off of it, and you can set a charging station outside your room so you don’t look at it. Also, leave your phone home when you go to church or dinner. There are many more ways to try to get off your phone, but these are just a few simple ideas.